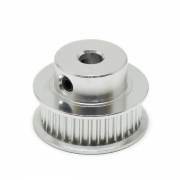 Pulley GT2: Made of Aluminium Teeth number: 36 Inner diameter 5mm Setscrews incl..
Voltage: 24V Power: 50WHeating head size: 6x20mmHeating head material: 304 stainless steelLine length: 1mLine thick: 0.5 mm² (the cross section of the copper wire inside the heater)Heating temperature: up to 350ºCImprovements:It can bear higher temperature rather than the original ordinary ..
Heater TN2F 12V 40W Power: 40W Material: Stainless Steel Core: Ceramic Diameter: 6mm approx. Length: 20mm approx. Cable length: 100cm approx. Cable covered with protective fabric 1 Piece ..
Rockwool Thermal insulation is used for heater block of the Hotend, helping to maintain the temperature. Thermal behaviorThe structure of the rockwool contains dry and stable air inside, which acts as a barrier to heat transfer characterized by its low thermal conductivity, whi.. It is used for extruder systems based on Bowden. Nominal dimensions: Inside diameter: 4mm Outside diameter: 6mm The price is per 10cm, if you want it cut to 70cm please select 7 units. We can sell continuous pieces up to 10 meters. 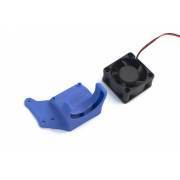 ..
Thermistor ideal for the Hotend. 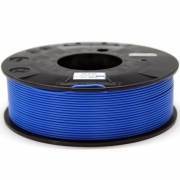 100K ohm NTC 3950 1m wire with dupont connectorDurable 304 stainless steel capsuleDiameter 3mmDoes not need additional electronics (unlike a thermocouple)Greater precision than the normal thermistor.Maximum temperature 350ºC1 Piece..
Thermistor ideal for the Heated Bed or Hotend. 100K ohm NTC 3950 1m wire with dupont connector1 Piece.. It is used to connect hotends and extruders to teflon tube. On one side it has a thread of 1/8" and on the other a teflon tube connector of 4mm diameter. 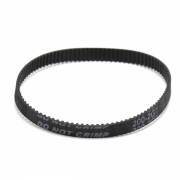 This version allows the teflon tube pass through completely. .. It is used to connect hotends and extruders to teflon tube. On one side it has a thread of 1/8" and on the other a teflon tube connector of 4mm diameter. .. It is used to connect hotends and extruders to teflon pipe. On one side it has a M5 thread and on the other a teflon tube connector of 4mm diameter. ..